The Rapid Spanning-tree protocol helps provide redundancy and prevent loops in a switched network. 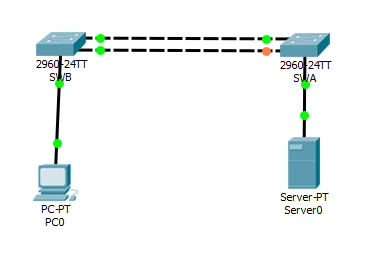 In this post, I will use the Cisco Packet Tracer to simulate how we can implement the rapid spanning-tree in a LAN to provide an alternate path to hosts in event of downtime. The objective of this lab is to configure rapid spanning-tree on SWA and SWB in such a way that SWA will be elected the root bridge. 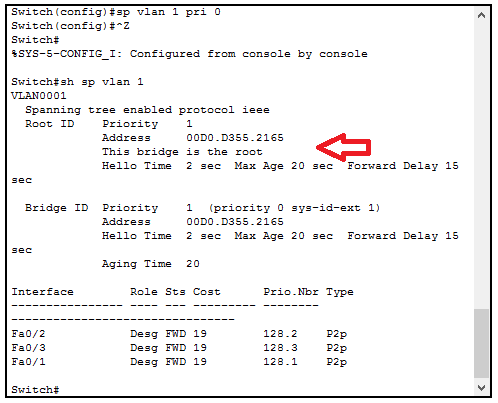 This method assigns the priority value of 24576 to vlan1. When added to the vlan ID, it becomes 24577. To make SWA the root through the use of this method, I will use the commands below from the global config mode of SWA. That is all there is to it guys. If you would like to get the lab, kindly drop your email address in the comment box below and it will be sent to you. Thanks.